With the start of MobiMOOC getting closer, all the course pages become populated. 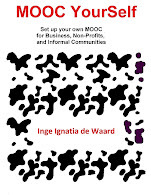 (The free, open, online course MobiMOOC starts on 8 September 2012. Not registered yet? Simply become a member of MobiMOOC google group to become a participant in MobiMOOC). In the third week of the course (23 - 29 September 2012) David Parsons from the Massey University in New Zealand will take us on a one week journey into serious games. He will ask all of us participants to exchange experiences, challenges and ideas on games for education and showcase a game he has been developing. To get an overview of the essential factors of why games stimulate us for learning and which implications this have I gladly link to a wonderfully inspiring presentation by Sebastian Deterding (seriously, it is mind blowing beautiful and intelligent!). Make sure you look at the presentation in full screen, as the comments Sebastian provides in his presentation are what makes it an inspiring slide set. 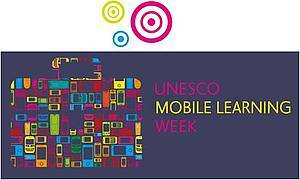 UNESCO will hold the Second UNESCO Mobile Learning Week (MLW) from 18 to 22 February 2013 at its Headquarters in Paris, France. I know it is still early, but you can already register via this online link. The event aims to explore mobile learning as a unique and significant contribution to achieving the Education for All (EFA) goals of increasing education access, quality and equality. Officials from Ministries of Education, international experts and practitioners in mobile learning, as well as representatives from major partners in the field will share innovative ways of learning with, and through, mobile technologies, and how they can be used to achieve the Education for All goals and improve the quality of education. As the free and open online course on mobile learning (MobiMOOC) is approaching its starting date (if you have not signed up for the free course, simply become a member here), the specialized topics are getting populated with wonderful content. For all of you interested in discussing technologies and its impact, get involved in the John Traxler's week on the impact of mobile devices on the world. John Traxler has paved the way for many mobile learners and he is philosopher at heart looking at the benefits and potential pitfalls of learning with mobile devices in the current world. What is your opinion on these random questions? When the North is providing technology for the South, is this empowering for the South, or only opening up a profit for the North? Up until now education has not been able to reach all children and provide primary education for all (United Nations Millennium Goals), so is it reasonable to think that mobile learning will achieve this, or is this yet another technological utopia? When will we see the first African cell-phone companies challenging the global market? Is it possible to build a durable mobile learning strategy for all, if poor people (any region) can only afford low budget phones? Is the use of mobile devices in the classroom another addition to the digital divide, creating an ever growing gap between the have's and the have not's in all regions? John has been adding content to the course wiki, creating an interesting set of resources (movies, papers...) so feel free to have a look already. If you feel a growing interest, or if you have strong ideas on the subject, get to the MobiMOOC google group, become a member for free and get engaged in the MobiMOOC course! There is a growing number of wonderful people gathering there, from 6 (SIX!) continents. Only Antarctica is missing ... what do these scientists do there? Don't they use mobile devices? Four days ago I came across this wonderful post from Patrick Dunleavy on why he choose Mendeley to become his personal research library organizer. He gives a good account on how he uses it, but what I was missing in the post was a comprehensible quick userguide, introducing the Mendeley features. It is a great way to get up to speed with Mendeley in a minimum of time.The thing I like about Mendeley is that they finally got onto Android as well last year. This made all the difference for me. Here is his Prashanth's presentation. Life is a long strand of actions, choices, forced decisions, or results that can be causes themselves and causes leading to results... my learning path cannot be called normal nor without its challenges, nevertheless, I made it. Meaning: I got out of a precarious place, I left chaos behind me. I now have a job, a house, a partner that loves and loved me even when the chips were down. I survived and all of a sudden I realized when looking what happens in the world today ... life was easy. If you have ever been poor, or challenged, or have fallen victim to one of the many temptations that lead to a life of misery and complexity, you know why at a certain point you pull yourself together and start learning. For if you had to fight for a long period of time, simply to keep on living, there is only one way out. Granted, a way out that has many faces, but the same at its core: learning. We learn to get out of the mess we are in, or - less dramatic and urgent - to improve our lives. In the first case, we cannot but learn the hard way. Yesterday I got word that one of the children from the day care center my son is at, will be banned. Her parents no longer have the money. They are in debt. Having been poor, I picked up certain familiar traits indicating financial challenges creeping up on them. Nothing big, the last thing any of us want is that poverty becomes apparent at first glance, but nevertheless those of us who have been there, see it. That little girl of not even two years of age will now stay at home. Her family situation is tough and with no quick fixes.As soon as finances become a heavy burden, family life gets harder. Everything becomes a discussion. Tensions arise. Everything becomes a priority, and sadly every choice deletes another priority. So here she is, that little girl, amidst dire straights, no longer at a nanny for 7 hours a week. She was at ease at the nanny. There she got organic fresh food, a good and safe shelter, and positive stimulation's. During every day at the nursery that little girl would learn from her peers, have no or less worries for a big part of her waking day. Now, she will be out. And once a child is out of daycare in my region, it is almost impossible to get back in. Because she will now be home, the chances of her parents being able to earn extra money diminish as well... she risks being caught in a downward spiral simply because of her position since birth. In the same week I heard that the 21 year old Somalian athlete Samya Yusuf Omar, who carried the Olympic flag for her country during the Beijing games perished. Dead because she was on a path to improve her living conditions, her chances. She wanted to compete during the London Olympics and had the potential, but ... on her way to find a coach (she did not get funds in her own country), she died during a shipwreck, while escaping her living conditions in an attempt to increase her chances, attain her full potential. Living conditions she tackled were undoubtedly plenty: sports, endurance, perseverance, creating chances ... unfortunately her birth chances put her in a difficult starting position and because of that, at a certain point she embarked on a fatal trip in a raggedy ship, heading North to Fort Europe. The thing is, learning is not simply getting a degree, having some paper indicating you went through hours of books, assignments... For the most of us learning is the only way out of personal challenges, and its a hard road without guarantees. And what is worse, hardly any of us get to learn what it takes to learn. Learning takes a lot of unwritten skills. That is why learning in any form is so dear to my heart. I need to believe that when we all pitch in, we can make a change. Create more chances... not to become the president or prime minister of any country, but to attain peace of mind, or peace all together. 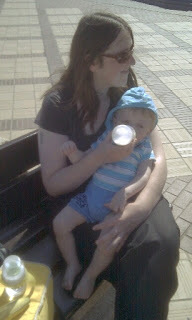 In the meantime my son has two mothers watching over him, both of them now working in education. We know the benefits of education and of the simple act of learning. We know how the system works, what the pitfalls are and why simply learning to learn will improve his chances for a healthy, happy life. For us, he does not need to become anything else but a happy human being, able to find his way. Not sure if it will work, but ... at least there are increased chances. Would not it be lovely to create these chances for all of us? After I have produced my virtual classroom session into mobile formats (e.g. 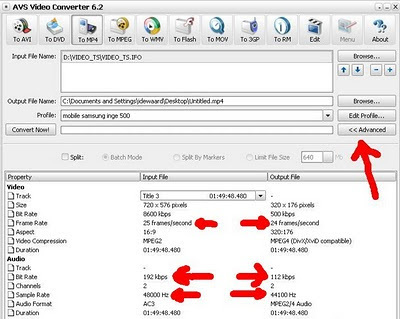 mp4 or mp3 for audio podcast), I cut them up into videos no larger than 15 minutes and load them up to youtube (youtube does not allow videos larger than 15 minutes at first, only after they check which type of videos you put up, they can open the channel for longer movies). This allows people with a variety of devices to look at the reformatted virtual classroom movies, as YouTube will now offer those recordings in the mobile YouTube format. Virtual classrooms are a technology in high demand as they allow any trainer or teacher to reach an international audience at any given moment. For the free, online course on mobile learning - MobiMOOC, we will also be using WiZIQ and the nice thing is, since last week any teacher linked to an academic institution can now register for a free teacher account. So that opens up possibilities for every teacher located in low resource environments. For those interested in trying out or applying for a free academic, teacher account, have a look here: http://www.wiziq.com/academic/ . WiZIQ has been on the market for a long time and in the past I explored the WiZIQ options. Due to organizational options, WiZIQ was not a central teacher option, but ... as time went by WiZIQ started to come into the picture again. As such the educational department of the Institute of Tropical Medicine, who has students and partners around the world is taking a second look into the WiZIQ functionalities. In the meantime I am going ahead with it in MobiMOOC. it had to offer recording options. 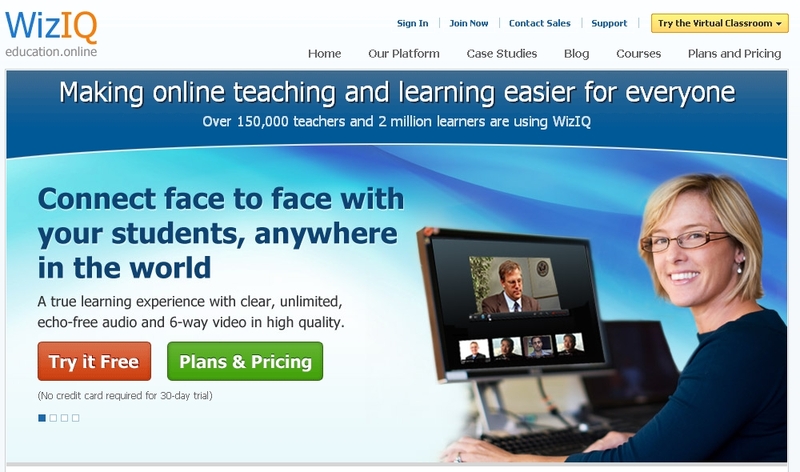 WiZIQ has a nice set of options: white board, breakout rooms, polls, screen-sharing, content uploads, public and private classrooms... and 15 GB storage for recordings. Once MobiMOOC has ended I will gladly share an update on its functionalities and how it went throughout the course. Augmented learning is one of the revolutionary technologies of contemporary learning. Augmented technology is still emerging as applications are being explored. But the learning experience offered by augmented solutions totally fits the mobile learner. Víctor Alvarez from Spain is one of the augmented learning experts during the MobiMOOC course. During the augmented learning week (22 - 29 September 2012), he will focus on what you can achieve with augmented learning and how you can start with embedding it. Here you can find the augmented learning wikipage that offers an overview of what Víctor will cover, in addition to this he is already looking forward to hear all of our experiences, augmented hopes and dreams. This presentation already gives a brief overview of what you can expect. MobiMOOC is a free, international, online course on mobile learning (mLearning) that starts on 8 September and ends on 30 September 2012. The course is open to all, so join us to collaboratively enhance our mobile learning knowledge. Participate in the MobiMOOC Award: if you participate in the MobiMOOC award, your mobile learning project overview can earn you 500 USD. See here formore information. Topics: 12 mobile learning topics will be covered, guided by expert facilitators on the subject, but always aimed at sharing all of our experiences and plans. Topics covered: introduction to mobile learning, planning mobile learning (Inge de Waard, Belgium), mobile learning curriculum (Adele Botha, South-Africa), corporate mLearning (Amit Garg, India), augmented learning (Victor Alvarez, Spain), global mLearning topics (John Traxler, UK), mobile health (Malcolm Lewis, Australia), mobile activism in education (Sean Abajian, USA), serious games with mobiles (David Parsons, New Zealand), mobile learning theory and pedagogy (Geoff Stead, UK), mobile learning tools (all of the participants), mLearning for developing regions (Michael Sean Gallagher, Korea/USA/UK) and train-the-trainer solutions (Jacqueline Batchelor, South-Africa). Format of the course: the course is built around the format of a Massive Open Online Course, which means that it can cater to any number of participants (no limit: Massive), free for all to join (Open), the course locations are all accessible online (Online) and it is a Course. This format is based on connecting all the participants together, and collaboratively start dialogues, discussions and exchanging ideas. This part is important, but not necessary for the conversion to work. 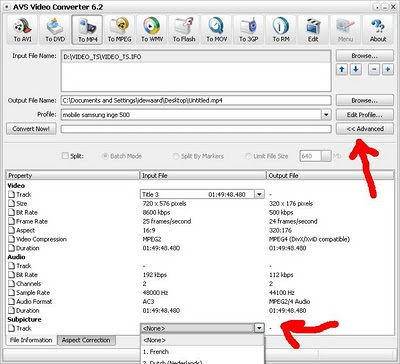 If you want to improve video viewing quality it is important to look at the bitrates and frame rate. For my phone I use around 1000 kbps up to 1500 kbps (depending on the lighting of the movie: a dark movie => higher bitrates, because it is more demanding on the eyes). This limits the file size. However, if I am planning to connect my mobile to a television set to share something (let’s say in a field clinic for training), then I use at least 2000 kbps for a better viewing quality. But remember: the higher you make your bitrates, the more time it will cost your conversion program to convert to the format of your choice AND the bigger file size you will get. So trying to figure out what you need in order to have a comfortable viewing experience is a good thing. Step 9. This step is optional: it is about screen size and the option to add subtitles. Screensize: if you just want to keep it simple, go to step 10, otherwise: select the proper screen size for your conversion. You looked up your screen size earlier on. If you click on the option ‘edit profile’ and a window opens in which you can put your screen size. Do this to get an optimal conversion. In my case I put in 320 X 180 pixels. If you have selected your screen size, it is best to save the profile. This way you can just click on the profile for future conversions. Subtitles: if you want to, you can use AVS4YOU to add the appropriate subtitles to your converted format. In order to add subtitles, you push the ‘advanced button’. After this you select the preferred subtitle language from the drop-down menu. 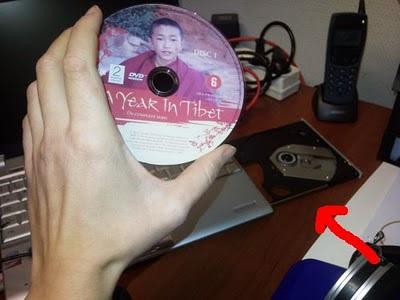 This is it, now you can simply click on the ‘convert’ button in AVS4you and you are ready to watch a movie your partner did not want to see, while commuting to and from work… at least that is what I do with my newly bought set of Through the Wormhole with Morgan Freeman! Thanks to Stephen Downes' Ol'Daily I got hold of a wonderful and very insightful blogpost from Laura Czerniewicz. In her blogpost she talks about educational technology for equity. In the post she zooms in on an essay she wrote (the original form of the essay) in which she uses the South African context to look at whose interests educational technology does serve? And also for which ends is it pursued and which of the current trends are most relevant to advancing the equity agenda? How can equity be kept foregrounded when universities globally, and in Africa in particular are under serious pressure? The current turmoil derives from a complex interplay of factors including the massification of tertiary systems, the impacts of information and communications technology, globalisation and the rise of the knowledge economy. It is a wonderful post and I use parts of it to respond to a call for the Alpine Rendez-Vous that is planned in ... the Alps by the end of January 2013 and which will focus on combating the educational crisis. In fact, while writing this, I should ask Laura to join in a common workshop. #UNESCO is looking for your #mLearning policy ideas ! • To raise awareness, put mobile learning onto the ICT in Education agenda. • To promote the value of mobile learning, and consider related challenges. • To make high-level recommendations for creating policies that enable mobile learning. All input is valuable and considered for inclusion by the Advisory Team assigned to the task of developing the policy guidelines. Please note, however, that it is not possible to include all input (informed by the UNESCO team). In the section: build new communities of students: with regard to open, online courses, three major online sites are mentioned: Coursera, Udacity and edX, but they are all N-America driven. And resulting from that there is a predominant teaching/learning format connected to those platforms. This does not embrace culturally related, nor digital illiterate or challenged target groups (of any region). If you look at the courses that are provided, the content is also more high-brow: nothing on vocational level, or getting to grips with the crisis etcetera. The courses are clearly aimed at educated people, as such not that relevant for all the UNESCO target groups. A screening of the background of the students enrolled in these course platforms will be of interest. The focus on 'student': throughout the report there is a focus on the word 'student' which seems to have the classic profile of a younger person within a schooling system. However, the examples mentioned are much less traditional student profiles, so it feels like a discrepancy. I would move from 'student' to 'learner' as this is a much broader definition and not pinned on school system learners. Educational change does not happen in the school alone, this is a societal change, one that embraces families to enhance their relevant knowledge, collaboratively learning, not just the youngsters in a family. In my view their should be a flexibility or a guideline linking traditional learning/teaching with contemporary regional teaching/learning. Each region has a long-lasting culture of learning/teaching, some more collaboratively oriented, some more one-on-one mentor type (Indian guru), some more oral (les griots), other textual (monk teachings), some learning from elders (indigenous people), some learning via discussions (old theological schools)... it would be of interest to give those other pedagogies a place within the new learning formats. Culture is rooted deeply in all of us, learning-to-learn is affected by these cultures and backgrounds and as such new learning should be flexible to different pedagogical formats.When looking at local mLearning projects, many of them worked because they fitted the locally reigning pedagogy or hierarchy of learning. Link mLearning policies with the predominant, as well as the traditional pedagogies or learning methods used in your own region. It is not enough to 'get women and girls involved', the content of courses, and the dynamics of mLearning courses should be addressing gender preferenced content. Adding active female characters in the examples, ensuring women visibility both in text and visuals. Similar addressing local gender issues and representing them to enable learners to connect with the material on a cultural level as well. The risk of providing content for the masses, is that identities get lost and that only the societal, predominant identity is represented in both the texts, as in the visual material of the course content. This has a profound effect on learning, as identification is connected to motivation and learning. So similar to the above gender remark, content should be diversified or - when targeting a specific region - specified to enable identification and empowerment. Train community leaders in mobile literacy: linking to an above comment: all members of a community benefit with understanding the importance of getting educated, getting digitally literate to enhance personal and family empowerment. Training the trainers is one part, but getting everyone empowered is something else. Every age has wisdom, it is the sets of all these wisdoms that make a community, as such the wisdom of all should be enabled sharing via mobiles, and as such all of the community should be reached. Embedding participation from targeted learners into the policy development to decrease the digital divide between the policy makers and the targeted audiences. Here is a great opportunity to look at the Journal of the Open and Distance Learning Association of Australia. They have just released FREE ACCESS to the Distance Education Special Issue on Open Educational Resources (OERs) and Social Inclusion (Volume 33, issue 2). Not sure how long the free access will last, so take a peek, it is a list of interesting articles. The OER mix in higher education: purpose, process, product, and policy: http://tandf.msgfocus. First of all, let me start of this blog with a link to the handbook on 'Maximizing the Impact of Your Research'. A 298 page (HUH!) handbook on how to track your research impact, both via more classical numbers (times cited...) and contemporary media (social media). It is a serious handbook, and the author is open to any comments, so feel free to add any ideas (j.tinkler at lse.ac.uk). The handbook is published by the London School of Economics and Politics. Building networks (oh yes, Google+, Facebook, ...): to get connected with people interested in similar areas. Public engagement (via blogs and such): to get ideas out in the open and be able to discuss them with peers. Receiving feedback (any comment enabled social media will do): our ideas or research or actions are nothing if not scrutinized by others with experience. Establishing an e-profile (what I would call a digital identity): I feel this should be at the top of the list, as trust and respect is at the core of being able to discuss ideas and share them or get them disseminated through networks. Teaching (I would add learning to this, as I am a believer in building upon each others strengths): engaging learners in courses or learning activities. Looking at the handbook and the post, I would add 'analytics' as a very important part of your research/person digital impact. For with analyzing who is following you, which items get picked up... you can get an idea of your followers. On the other hand, a blog is my blog, so serendipity should also get its place. Thanks Bruno Meessen to bring this blogpost to my attention! Amit Garg is one of the facilitators in the upcoming, free, online course on Mobile Learning (mLearning). He is one of the co-founders of UpsideLearning.com. Amit will take us all on a tour to see what it takes, how to strategies and successfully implement mobile learning for corporations and business organizations. He has been implementing corporate learning solutions for the last 12 years. You can find Amit's MobiMOOC course page here, his online webinar will be of interest to anyone who wants to embed or improve their knowledge management levels inside her/his corporation. Below you find a powerpoint on the subject of mLearning at the workplace. But first a bit more on the course.MobiMOOC is a free, international, online course on mobile learning (mLearning). Join us to collaboratively enhance our mobile learning knowledge. Cost: this is a free course. Register for free: you can sign up for the course by becoming a member of the MobiMOOC google group. What type of learning: guided collaborative, peer-to-peer learning: lots of discussions and sharing of experiences, overviewed by mobile learning experts. Participate in the MobiMOOC Award contest: if you participate in the MobiMOOC award, your mobile learning project overview can earn you 500 USD. See here for more information. Topics: 12 mobile learning topics will be covered, guided by expert facilitators in the subject. Topics covered: introduction to mobile learning, planning mobile learning (Inge de Waard, Belgium), mobile learning curriculum (Adele Botha, South-Africa), corporate mLearning (Amit Garg, India), augmented learning (Victor Alvarez, Spain), global mLearning topics (John Traxler, UK), mobile health (Malcolm Lewis, Australia), mobile activism in education (Sean Abajian, USA), serious games with mobiles (David Parsons, New Zealand), mobile learning theory and pedagogy (Geoff Stead, UK), mobile learning tools (all of the participants), mLearning for developing regions (Michael Sean Gallagher, Korea/USA/UK) and train-the-trainer solutions (Jacqueline Batchelor, South-Africa). Here is a taste of what Amit will serve us during the course, focusing on implementing mLearning at the workplace. Last week I got a mail from Jenni Wright from Australia. She is a trainer and she was looking for solutions that could help her optimize the already wonderful vocational courses that her company the BedfordGroup in Australia is setting up for adult learners. 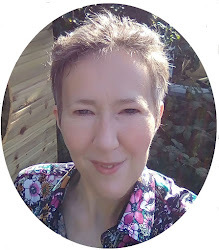 The challenge was that the learning environment should be secure for the Intellectual Property content portion, yet at the same time dynamic as a MOOC AND - a tough one - if possible cater to people with learning challenges, whether it be disabilities or learning difficulties of any kind. In the past years I did encounter more questions on solutions for learners with disabilities. And I feel that with the evolution of mobile technology some of these learning challenges can be met, although it stays a tough road to travel or find solutions on. Here is what I came up with for Jenny. If any of you have additional ideas, feel free to add them. This is not my area of expertise and any help or ideas are more than welcomed. 1. 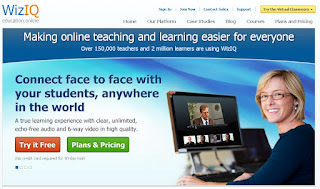 A secure yet easy to enter and edit learning environment: I would suggest using a private wiki. Why: because the text is easy to edit, comments and discussions can be given on every page. 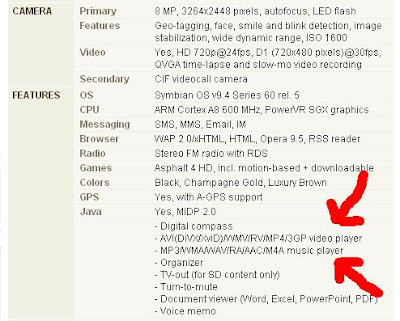 But most of all, as a wiki has plain text, you can use free text-to-speech options to convert the text to audio-files. This means you can add an mp3 on every text page, providing the learner with an audio file. Another bonus of the wiki text, is that you can enlarge the text using key board short cuts. Thanks to Jenni I am contemplating to make all my MobiMOOC additions (week one) audio accessible as well. Just done one addition based on the draft text, simply to see what it gives. I used Pediaphon to get the MP3 files. Mostly because it is easy and it also includes an option to put an PediaPhon bookmarklet into your browser menubar. this Pediaphon bookmarklet makes it easy to select text, than click the pediaphon button in the menubar and ... hear what you have selected. So what I did was enter the text of my 'introduction to mLearning' wikipage (which is a public and open wikipage), download the mp3 and than added that mp3 to the wikipage, enabling people who prefer audio to listen to what is written there. The result of the converted audiofile (mp3) can be found here on the page. 2. In addition to this secure, private learning environment, there is always the option of adding other, more socialmedia driven learning locations, based on the preference of the learners themselves (including what they like to let them create content in a way they like it). For instance: build a central movie repository, for instance via a Facebook group or similar where learners can share their own experiences easily (well, taken the word easily with some salt as what is easy for one person can have enormous complexity for someone else. These social media locations can be embedded via widgets in a secure wiki (to be done by the instructional designer, or technical helper: Once it is set up, new additions to these locations will automatically show up in the central learning environment). Depending on the type of learning you have in mind, you can use different social media. Here is a list of learning aims linked to the most common social media groups. 3. I also added some subtitles to movies using Camtasia and its subtitle options, but I must say that is very time consuming. I could not get very far with the YouTube option that adds subtitles automatically, as I have a non-English accent while speaking ... this dialect affects the YouTube results immensely :-) But I have not tried giving a transcript to YouTube and than see what happens. Might work better, so is on my to-do list. And I also found a nice short publication (with cartoons) that describes strategic mobile options for learners with disabilities or challenges: called the “The 99 tools from the magical pocket of Aki-chan” . To end this post, I gladly refer to a slideshare by E.A. Draffan who is working at Uni of Southhampton and has years of experience in this area. Her slideshare covers a lot of tools that can help students/learners with learning challenges. Getting in contact with new colleagues is always inspirational. Ildikó Bokros is one of such knowledge rich colleagues. She has pointed me towards a 11-page Twitter overview sheet which lists the twitter advantages for academics. The twitter report is fresh in lay-out, to the point and written by Amy Mollett, Danielle Moran and Patrick Dunleavy from the London School of Economics and Political Science. 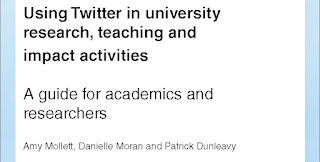 The report is very useful if you want to get people in your institute oriented on the potential of Twitter, but also to get them started: setting up a twitter account, useful twitter terminology, tweeting styles, how to build a relevant network of followers, ... nice, short and to-the-point. 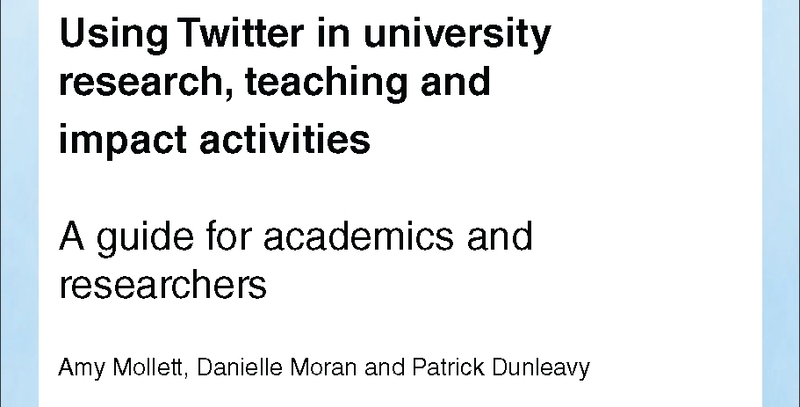 You can find the twitter for academics report here. Does #mobile learning really make a difference in this world? 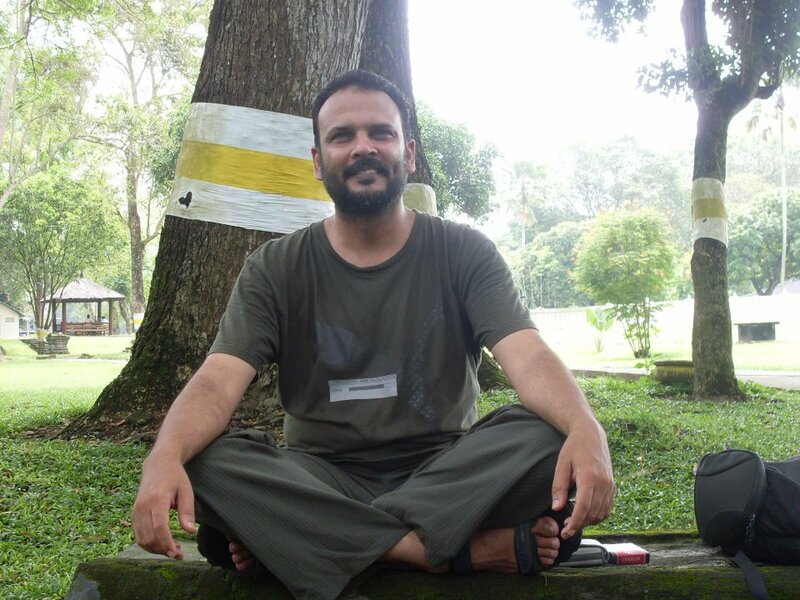 Years ago I met Devaji Patil in Bangalore, India and … I related to his spirit and wisdom. Devaji is a philosopher at heart and a medical doctor by profession. In his new job he wants to set up mobile health projects, but at the same time he wants to make sure they will be durable and basically… make sense to the people it is designed to help. So he challenged me with some tough questions comprising ethics, meaningfulness, gender challenges and effectiveness of learning with mobiles. I could get some thoughts in, but I feel many more people are needed to answer his questions in full, so feel free to add ideas or send Devaji additional answers. For ages people, both philosophers and lay-people, have been discussing the empowerment of learning or education in general. Looking at the Millennium goals, I can see that most of us still believe in it, but even the most basic primary education is not reached yet. I think this is due to lack of durable, educational vision. Any learning, including mLearning will only be empowering if it is made accessible to all, inspiring, comprehensible, participative as well as collaborative, with guidance for those learners that feel the need to have a guide-on-the-side and most of all durable within a flexible learning environment. Looking at teachers that are real corner stones of education, they know how to appeal to their learners, lift their spirits, inspire them to reach their full potential. That type of teacher is creative, knows how to reach his/her learners and find the strength within the learner. This being said, I feel that every learning is based on inspirational, creative people with vision and trust in the future of their learners. As such I am sure Devaji that if you set up mLearning courses, they will be empowering. 2. how to actually negotiate the barrier of technology to an 'illiterate' health worker? The best way to negotiate the barrier is by using what they use, or trying to reimagine new technology with how they use old or known technology. It is not necessary to read if you have a phone, in that case speech can be enough to exchange knowledge/information. So basic cell-phones can be used as help-lines, where patients phone in, and health workers phone back. If the spoken feedback of the health care workers are than added to a data-base after ‘speech to text’ software, this database can be used for future cases. At the same time radio transmissions offer a great, non-reading, durable way of getting knowledge (continued medical education) distributed to large crowds in a less expensive way, and radio is a mobile device. A case study using radio for this reason (in Philippines for rural farmer women) is linked here (http://www.tistr.or.th/RAP/publication/1999/1999_08_rome.pdf ). What strikes me is that funding is much more difficult to get for this type of proven, mobile learning than small scale smartphone projects (but that is another discussion). 3. with rapidly changing technology ... what is happening to pedagogy? Does pedagogy change too ? As fast as technology ? 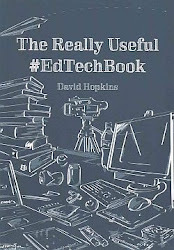 Good pedagogy stands apart from technology, but technology can be used to get good pedagogy out to the masses and via distance education (reaching the difficult to reach, in every sense of the word). I feel that pedagogy is very human, and as humans only change slowly, good pedagogy will also only adapt to the pace in which humans can reach their own bigger potential. However with the evolution of technology, the variety of teaching/learning that can be reached via distance education does evolve more rapidly than before: which means that more people can be reached based on the same concepts of good pedagogy (e.g. participation between rural health care workers is now possible by using simple cell-phones). 4. Are we in a position to make 'learning' a central theme of Health systems strengthening if we are then where is it being seen if not why not ? The knowledge and application of durable and scalable mLearning is still in its early beginnings. In just a couple of years’ time mLearning starts to take off. This means that a lot of projects did not take off due to lack of knowledge about all the factors impacting a project or target population, other projects do take off but are sometimes stopped due to non-durable options… And sadly those projects not attaining what they were meant to obtain are rarely disseminated, although most of us are eager to learn from mistakes to ensure successful future endeavors. To me learning or training should be at the center of any system, including health systems. The concept of Lifelong Learning did not come out of the blue, but came out of an awareness that constant education will be a must in a world where changes happen increasingly rapid. A stable, durable health system will have learning and specifically continued medical education embedded in its core, for without keeping health care workers, health managers… up to date on latest changes, the patients will not be reached with optimal health care. In relation to this, I share this National Health Service (United Kingdom) paper focusing on 29 recommendations for embedding mLearning in their health care system http://ignatiawebs.blogspot.be/2011/04/how-can-health-within-clinics-be.html these recommendations do not always apply to more challenged regions, but some of them can indeed be implemented. 5 Why is human interface still important. ? For trust, real understanding, and for reaching those that need some time to voice the problems they are facing, and to reach those that feel insecure or unable to share text. 6. How to / Why / Where/ When to place technology enhanced learning in health systems that are not just weak ... but actually in a disintegrated state? That is something else, if a system is in a disintegrated state it needs to be rebuild from the ground up I guess. In that case technology might be used to start communicating about most urgent issues but … if a basis is unstable, you can be sure that any rapidly designed technological addition will only amount to even more disruption. These types of subjects will be covered and discussed during MobiMOOC in week 2 by John Traxler and week 3 by Michael Sean Gallagher, so feel free to join the discussions. Looking at the participants I am sure they will be able to add much more solutions and ideas than I can. The free online course on mobile learning MobiMOOC will launch on 8 September 2012 and guide you through different mobile learning (mLearning) fields for three weeks. At the end of the three week course the MobiMOOC Award will be offered to the winning mLearning project, as voted by the MobiMOOC participants. The winning mLearning project will be that project which is considered by all as having the most impact for people living in difficult or challenged situations. Want to learn more about the course, than look at the course wiki here. In order to enter the contest and to win the MobiMOOC Award, you must participate in MobiMOOC (it is a free course, open to all). If you have not registered for the course yet, you can enroll for free by becoming a member of the MobiMOOC Google group which can be found here. The contest will be based on mLearning project overviews, that will be made based on a 10 step template that can be found here. If you already have an idea for a mobile project or you feel an idea will come soon, get a head start and take a look at the template to start brainstorming. 30 September 2012: Award notification! The winner of the MobiMOOC award will be revealed. Every MobiMOOC participant willing to enter the MobiMOOC award contest will be asked to send their overview by 25 September. From 28 September 2012 the vote will be open and on 30 September the winner will be revealed.